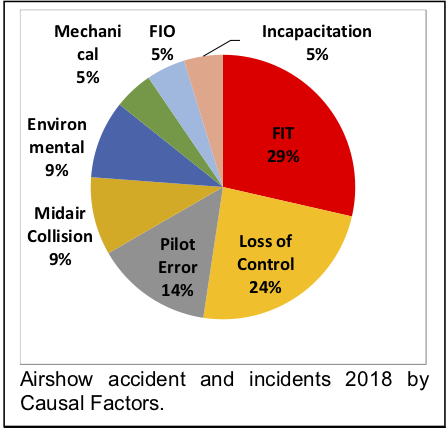 Des Barker has studied the intersection of aerial demonstration and flight test for many years, and his most recent paper is Airshow Accidents and Incidents 2018. In the sport of cricket, when a batsman retires, it means he no longer participates in the innings. He is retired and just sits back and watches the remainder of the game – he even drinks beer while all this is happening. So, no, I’m not what you would call retired as I am very busy. I continue to do flight testing for a local company “Warbirds,” bringing old aircraft back to life — re-engining, newly designed wings, sensor systems development, etc. Being responsible for the flight testing and the report writing takes up 50% of my time. I also fly for our Air Force’s Heritage Flight at the second oldest air force base in the world, AFS Zwartkop. It dates back to 1920. 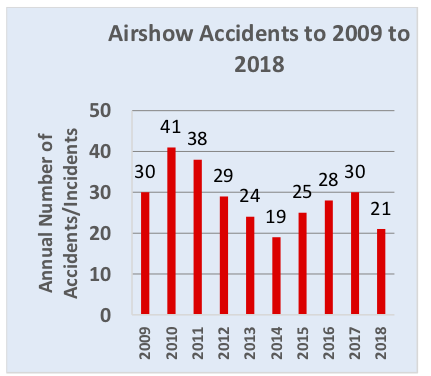 Lastly, I work with the European Airshow Council preparing an annual report which is also shared with ICAS and the Airshow Societies around the world. My wife doesn’t always understand all of this though. Barker wrote what many consider the definitive word on aerial demonstration flying, a 362 page book: Zero Airshow Margin – Airshow Display Flying Analysed.